Windward customers say such nice things about us! And we know they mean it, because our customer retention rate is >95%! 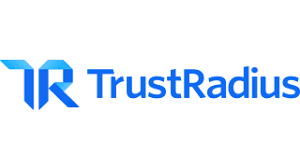 Read Windward's review these trusted software review sites. In this report, the features of Windward Studios’ AutoTag are compared to the features of Business Objects’ Crystal Reports. 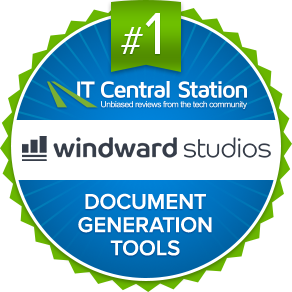 As of March 2019, Ecrion EOS is ranked 4th in Document Generation Tools vs Windward Studios which is ranked 1st in Document Generation Tools by IT Central Station with 19 reviews. Report essentials for corporate and enterprises alike is becoming a task at ease with tools like Windward and Jasper Reports, let us find out how? Text Control vs. Windward Studios: Which is better? Comparisons & Features of Two Top Document Generation Tools. Compare product reviews and features. HotDocs vs. Windward Studios: Which is better? Comparisons & Features of Two Top Document Generation Tools. Compare product reviews and features. SQL Server Reporting Server (SSRS) vs. Windward Studios: Which is better? Comparisons & Features of Two Top Reporting Tools. Compare product reviews and features. BIRT vs. Windward Studios: Which is better? Comparisons & Features of Two Top Reporting Tools. Compare product reviews and features. Aspose vs. Windward Studios: Which is better? Comparisons & Features of the two very different products. Determine which is right for you. Docmosis vs Windward Studios: Which is better? Comparisons & Features of Two Top Document Generation Tools. Compare product reviews and features. "It [Windward] saves our customers tons of money...let's say I'm generating a test script. In a manual paper world, if I were to open up a Word document and create a test script, it would take about 45 minutes on average. Using the Windward system it takes six to ten minutes. It has reduced document preparation time by over 60 percent." "NCC has been using Windward products as the reporting component of our land information system for over a decade now. It has always worked well for us, and we're planning to continue using it following a major system upgrade this coming year." "Windward's design studio has put the ability to develop new documents in the hands of operations, and frees engineering resources."